The Beijing International Book Fair’s newly dedicated children’s book program is announcing a partnership with exposition giant UBM to expand the fair’s rights and licensing opportunities. 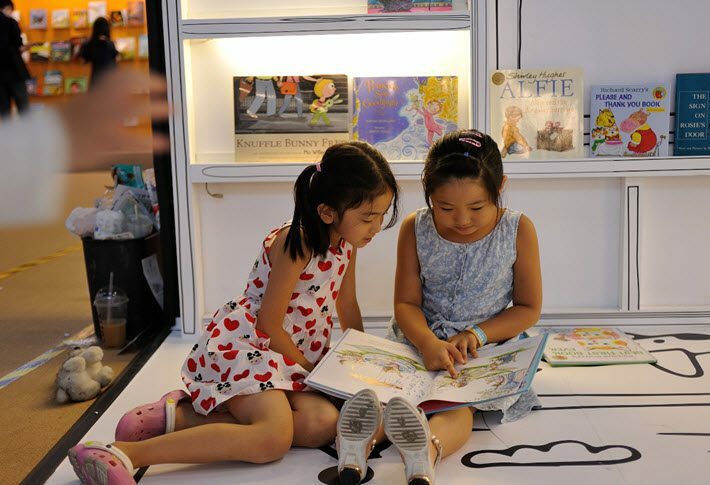 A dedicated children’s exhibition is being staged as part of the 32nd Beijing International Book Fair (August 22 to 26), and it is to include a 1,000-square-meter space dedicated to rights and licensing, according to an announcement from organizers today (May 15). To accomplish this, the Beijing Book Fair is announcing a partnership with UBM, which press materials say is behind the production of more than 300 B2B trade fairs annually, including licensing expos in Japan, Las Vegas, China, and elsewhere. UBM is a company with more than 3,750 employees in 20 countries, with events spanning a vast array of industries, from a “construction summit” in Guadalajara to advanced manufacturing in Bangkok, hospitality and food in Ho Chi Minh, concrete in Mumbai, fashion in New York City, beauty in Pasay City, and e-commerce in Osaka. In June alone, there’s a solar power event in Rio, pharmaceuticals in Shanghai, technology in Singapore, gems in Hong Kong, and security and fire systems in Hyderbad, among many more specialized shows in various parts of the world. As might be expected, when such far-flung exposition producers handle publishing events, the needs, nuances, and specialties of the books industry can prove elusive. Boat shows really aren’t the same thing as book fairs. In a prepared statement, Beijing International Book Fair director Lin Liying—the subject of an interview last August with Publishing Perspectives—is quoted, saying, “The integration of film and television, multimedia, IP licensing and publishing is developing rapidly, and the new children’s fair will provide a platform for publishers and potential partners to explore business opportunities. The fair itself is organized by China National Publications Import and Export (Group) Corporation, the largest publication import/export company, which press content says has more than 60 percent of the market. And for UBM, Ma Ying, vice president of the Asian division, is quoted, saying, “UBM is committed to creating value for different industries through our rich exhibition experience and deep understanding of the industry.